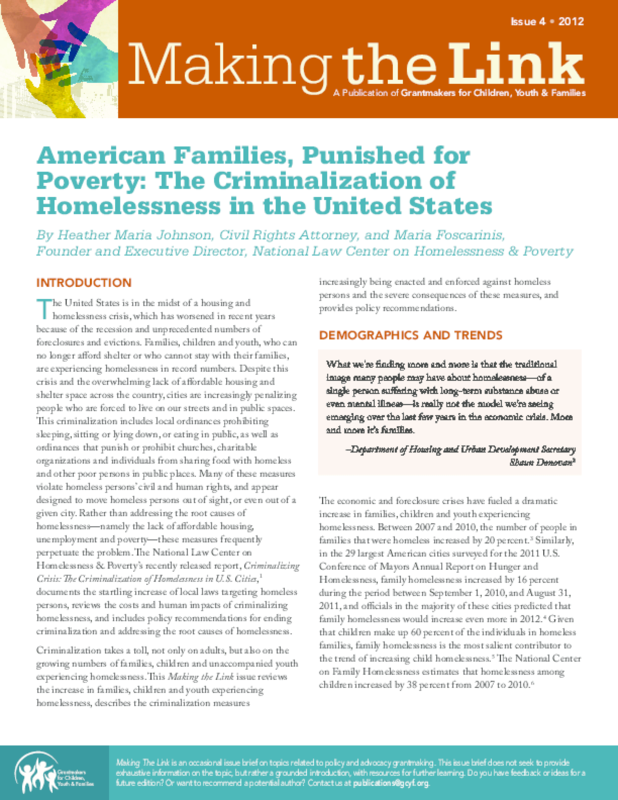 Criminalization takes a toll, not only on adults, but also on the growing numbers of families, children and unaccompanied youth experiencing homelessness. This issue of Making the Link reviews the increase in families, children and youth experiencing homelessness, describes the criminalization measures increasingly being enacted and enforced against homeless persons and the severe consequences of these measures, and provides policy recommendations. Copyright 2012 Grantmakers for Children, Youth, and Families.